I just finished my last day at my corporate job. For context to those who only know me as a baker – I studied accounting in college and spent an entire summer studying to get my CPA. I worked hard to get to where I was in my career. Six and a half years later, I quit my job as a digital client finance manager at one of top public relations agencies in New York. Did I hate my job? Did I have a terrible boss? Was my work boring?? Not at all! My situation at work could not have been more ideal for me. It combined my love of all things digital (including social media) and finance. My boss was a wonderful mentor and I loved my colleagues. The environment was open and honest, and I felt respected and appreciated. I was convinced I found my niche in the corporate world. It was wonderful in the beginning, but then Chelsweets began to grow, at a faster rate than I could have imagined. Big partnerships (with insanely short timelines), TV appearances, an ongoing content partnership with the Food Network, and a book proposal (a story for another day) began to push me to my limit. I was working at my day job during the week, baking after work, filming on the weekends, and editing videos/blogging whenever I could find the time. I wasn’t sleeping enough and I had lost balance in my life. I felt so run-down – I was operating at 70% all the time. I’m the type of person who wants to give her all to everything she does, and it became impossible to do so. Being a perfectionist by nature and someone who wants to always be improving, this made me feel terrible about myself. I’m sure to no one’s surprise, I hit a breaking point. I had 5 big partnerships in a four-week span on top of my content partnership with the Food Network (4 cakes each month) – while also being out of town for two of those weekends. I was working around the clock and I felt like I was losing it. I had a moment of clarity and realized, it’s time. As I took a step back and realized how much my little baking business had grown, I was in awe of the fact that in 2018, I hit ALL these goals. That’s when the gears in my head started turning. I hit all these while only doing it part-time. It wasn’t a decision I made lightly. I spent years building Chelsweets to where it is now, months contemplating this decision, and hours analyzing my business strategy and financial position. I went back and forth while getting to this point. Was time to quit? No, I should stay in the corporate world I’d worked so hard to establish myself in. I spent years studying accounting, and lost countless weekends working as an auditor at one of the biggest accounting firms in the world. Becoming a CPA was a big accomplishment for me. Was I really ready to leave all that behind? While being self-employed and running my own business is a huge accomplishment, I felt like it was less respectable than my corporate career. That was one of the biggest mental hurdles I had to overcome. I spoke with my fiancé, family and friends at length about it, and they reminded me that creating something out of nothing is an incredible feat, and that they would be there for me. My mom even sent me a card the day I put in my 2-weeks notice, telling me that she and my dad were proud of me. It sounds silly, but I cried when I read it. Their support helped reassure me that I wasn’t crazy for making this career change. There also is the stigma of being an “influencer” or “doing Instagram full time.” In reality, I’m not doing either of those things. I’m going to be developing my baking techniques, refining my filming/editing/photography skills, learning SEO and Pinterest strategy, and partnering with brands/media companies to create engaging content that people love to watch. People don’t see all the hard work that goes on behind the scenes. They just see you post on social media, and know you have a large following. When people asked what I did for work, what would I say? Am I a freelancer? An entrepreneur?? That I’m a baker but I don’t actually sell cakes or take cake orders? Another huge factor in this decision came down to money, but not in the way you’d think. To me, money means security. It comes from a lasting career and provides peace of mind. Instagram didn’t even exist ten years ago and I’m not formally trained in anything I do for Chelsweets. Is this really a career path? Will I still be able to support myself in ten years?? I mean, as a kid I used to count my money in my piggy bank every day. I like money and the security that comes with it. What would I do when I didn’t know how much money I’d make each month? How would I live my life not knowing? These are questions without an answer. The hardest part of the jump from my corporate job to running my own business was the fear of the unknown. Despite all of this, something in my gut just told me to go for it. I am a huge believer in intuition and even with these worries, I feel like I’m making the right decision for myself. I know I still have a ton to learn, but I feel like I’ve figured out just enough to be able to make this leap. I’m filled with nervous energy and ambition. I’ve promised myself to give this my all so that when I look back, I’ll have no regrets. I’ll know I went for it and I did the very best that I could. At the end of the day, that’s all you can do (the wise words of my Dad). If any of you have made a similar leap, or are thinking about it, I’d love to hear your experience or thoughts!!! Life doesn’t always turn out the way you think it will – I thought I wanted to be a Partner at an accounting firm or CFO when I first moved to New York and began my career, but sometimes the unexpected turns can lead to the most rewarding paths. I’m hoping that’s the case for me and am excited to start this journey! So excited for you! You will definitely succeed! Would you mind doing a post on how people who are just starting can start to bring in income like you did? Hi Chelsey, what a brave decision! I really applaud you for this. I also have a full time job as office manager and I bake at night and in the weekends. Like you, I also struggle between baking full time or just pursuing a “real” career. Sounds a bit similar to your story. Also the biggest struggle I have is the money. I also like to have stability and the security of having a fixed amount of money every month. But recently I have made the decision to pursue baking full time in a 5 year time span. This means that i will try to improve my baking skills in the mean time and save enough money to set up my own business properly. Happiness was a important factor in this decision. Baking makes me truly happy. Creating a product. I want to wish you all the luck in the world with your business. You are a great baker! CONGRATULATIONS, Chelsea!! I wish you the best with your new career path!! Congratulations! I am sure you will remain a success! Your cakes inspired me to create several of my own for family and they turned out great! You’ve made a wise decision and it will be great to see what you do next! I, for one, can’t wait!! It’s wonderful that you are pursuing your passion and already know the risks in owning & running your own business with your experience working as a CPA. I retired from an over 30 year career in the banking industry and have seen it all how businesses succeed and fail. You should already have the critical self-employed benefits in place and you will have more when you are married. Wishing you continued success in your passion for years to come. Thank you Irene! Half the battle really is figuring out health insurance, paying your taxes, saving for retirement, etc. and I def have a plan in place 🙂 I really appreciate your support!! FYI, you probably already know that any new business should be fully capitalized to start. If you need to get business loan or line of credit in the future, you must be profitable 2 of the 3 years in business which would be averaged out over the 3 years by the underwriter. Also, be careful of expensing out on your tax return as it might help in your taxes, but your NET INCOME is what the underwriter is looking at to determine approving any loan request for ALL loan applicants. I don’t really need any loans based on what I do (filming, recipe testing, editing, etc.) as I already have all the equipment I need and am a single member LLC. Thanks though! That’s good. It’s future reference for you and also FYI for those who have shown interest in starting their own business. It is also beneficial to take a basic class in accounting/bookkeeping as one should understand the basics and not leave it to others. Doing research and being informed help in being successful in any venture. Sure, that’s one of the reason I’m happy I’m a CPA! Congratulations on having made such a life-changing decision, Chelsea! You had the ability in the past, and still are able to “do it all” … you have merely redefined what that term “all” means to you! You could have, and probably would have, made this very same decision even if you were not also planning to share your life with your fiancé. Your video presentations and your posted explanation impress me with one character trait you don’t yet seem to have identified has having in abundant quantity and quality … you are a born teacher! It is not just your creative and imaginative baking outcomes that you are sharing with us all … you are sharing skills in a way that helps your “followers” learn from your own experience … and your teaching style is a wonderful inspiration to us all. Best of success in all your endeavors … and in having your “personal all”. You are too sweet Nicola!!! I guess I never really though about myself that way, but it really does give me joy sharing everything I’ve learned with all of you 🙂 Thank you for your support!! Yay Chelsey! I’m so incredible proud of you and excited to see all that the future holds for you! ?? Bravo Chelsey!!! You are my hero, my inspiration to one day follow in your footsteps!!! Congratulations!!! This was so great to read, I’m actually in the process of starting an Instagram page for my cakes as well, I’ve been baking for over a year now and my husband has been pushing me to start one as a creative outlet! Right now that’s what I’m looking for, I actually also work In accounting during the day haha so this is super inspiring that maybe one day I will be able to do it full time…maybe! Wishing you continued success on your path!! We also just visited Seattle this year and I’m in love with it…had to add that in! And that’s too funny, Seattle is definitely a beautiful city!! Good for you! My only question is…who will benefit now from all the cakes you bake? Congratulations, Chelsey. You have worked so hard for this and totally deserve it. Thank you Katie! It’s funny because I have to keep telling myself that, like it’s ok to do this, you’ve worked so hard to get here. It still feels like a dream!!! <3 Thank you for support!! Congratulations Chelsea! Your work is the inspiration for most of my creations and I’ve learned so much from watching your videos! I can’t wait to see what the future holds for you! Congratulations! It’s a tough decision, but you are amazing! You’ve got this! I can’t imagine a more thorough, well-thought-out decision. Congratulations!! A little side note: when I first started following you, I was amazed at how you, a very artistic baker and decorator with the skills to build the success of Chelsweets–still had the time and energy for a full time corporate job! You are so talented, and you have this unique opportunity to bring joy and confidence to so many people—can’t think of a better way to spend your career! You are very brave and courageous. It is also evident that you have the talent, creativity and dedication to do this!!! Good Luck and can’t wait to see all the wonderful cakes you make!!!? Congratulations! What a huge, exciting, scary journey! I completely understand how you relate to your life with money. I’ve always envied people that can take this leap with their goals without seeing the finish line! Your journey is in motion and you’ve decided to drive the car and not just ride in the back! I can’t wait to follow this adventure on Instagram! Again, congratulations, you’ll be amazing! ??? Thank you Kristen!! It’s def hitting me now, I’m driving the car and need to figure out where I’m going!! But I’m sure I’ll figure it out all in time 🙂 Thank you for your support! Congratulations!! This is so amazing! I was hoping you would do this one day ? I am thinking about leaving my job to do cakes full time as well. I started doing cakes for birthdays, weddings, etc less than a year ago and my business has just soared! However I can only take so many orders because I have a day job. I turn down more orders than I take, and I hate that. But still I go to work all day, come home and bake, and bake on the weekends. Not at the same capacity as you, but I still can relate! 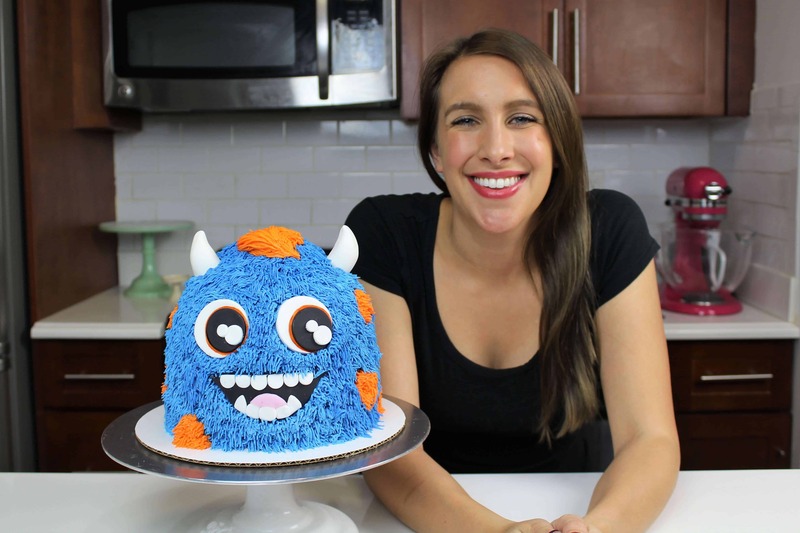 I know that financially my husband and I would be fine if I quit my job and only did cakes, but it is just such a terrifying thought to me for some reason! Like you, I love knowing what my income is each week. I love the stability of my job and I’m afraid to let go of that. I also have no training whatsoever, and made my very first cake only 10 months ago. But you sure are inspiring me! ? After reading your post I realized that when I’m truly ready, the decision will be easy (still scary I’m sure, but I’ll know it’s right!). I know it took a long time for you to make the leap, and it will probably be the same for me. Thank you for all your amazing baking tips and inspiration, and for being brave enough to pursue this dream! I can’t wait to see where it takes you next! Congrats again! Thanks Christine! Sounds like you might be making a similar leap soon 😉 Even though it felt 100% right, I’m still battling the decision in my head. It’s so silly though, I think type-A people like us will always struggle walking away from stability and safety. But that’s no reason not to do it! You’ll know when its time <3 best of luck with your baking business, and thank you for the kind words!! That’s so exciting! Congratulations on your success in 2018. I hope that continues to grow in 2019 and beyond. Be proud of what you’ve accomplished! I love watching your videos and coming to your website for recipes. You’ve inspired me many times in the last year and I’ve picked up many useful tips, so thank you for that. I hope you do put out a book – I would totally buy it. Congratulations! I love your site and look forward to each new post. Can’t wait to see more of you! I totally remember you Kat! Also, my parent talk about you all the time 🙂 You’re too sweet, thanks for the support!! Your CPA credentials are not going anywhere! If this doesn’t become the job you always wished for, you can always go back. Wishing you much good luck! First of, congratulations! Your blogs and videos are having a huge impact on me. I am an amateur baker who also thought about pursuing a career as a blogger, but there are many hurdles (actually everything you listed in this article). Browsing through your posts everyday I was JUST about to ask how you balance a full time job, chelsweets, and marathon training altogether. I could only do two of them, and with the price of comprising the quality of one for another. Every time I feel exhausted or hopeless, I thought about you like a role model, ‘why can’t I be as organized & successful as Chelsea?’. All the struggles. I am so happy that you finally decided to go on full-time blogging and stopped burning yourself on both ends. I was always eyeing on the most professional methods of baking until I realized that most of them are not practical in a home kitchen. Your blogs and youtube channels taught me how to be creative & practical at the same time and still enjoy myself. Also, despite the very high sugar content in your layered cake recipes, they taste amazingly delicious. I have always been skeptical about American style cakes due to the super high sugar content, but your cake recipe truly wins me over, and I use that as a starting point to develop my own signature recipes. Thank you with my whole heart, and best of luck to you & Chelsweets! Congrats, Chels! Wishing you nothing, but the best. So excited for you ! Praising God for all your success and all that is to come . You are amazing at what you do ! What a gift ???? Congrats!! I’ve been following your IG for a long time and finally made your cupcakes, they were phenomenal tasting!!!! I never even understood how you had time for it all. Good for you for taking that chance, you will continue he to soar! Congrats Chelsea! In 2017 I quit my finance job, not knowing what was next. But I knew whatever was ahead would be better, and would make me happier. My current job is awesome and so flexible that I’ve been able to bake on the side. Don’t feel “job shamed” by anyone. Do what makes you happy because you only have one life to live! Chelsea-my daughter introduced me to you in Instagram and we have enjoyed all your posts and videos. She just recently made your chocolate circle chocolate strawberry cake -it came out great. I have been impressed by your discipline of working full time and growing your business. As someone probably old enough to be your mom I think it’s completely fabulous that you changed gears and took the leap. It is truly the American Dream. When you create something from nothing there is no limit to what you can accomplish. And when you have a strong support system…..look out. At the age of 54 my life took an unexpected 180 and now I find myself back in the corporate world and it is great and I’m appreciative I had a wonderfully happy life of staying home to raise kids and then some unexpected sadness of losing my husband to cancer at 56. I still have a happy life and many things to be grateful for. I’m still inspired all the time. The ideas still come all the time. Listen to your intuition it has obviously taken you to the right places so far. There are always forks in the road which is good since your cake looks so delicious lol. My daughter and I have enjoyed watching your influence grow. Keep up the good work. Congratulations, Chelsea! That is such a brave and admirable decision. I have so much respect for everything you’ve built and admire the path you’ve taken and will continue to lead now. Thanks for being an inspiration! Congrats! I like money and security too so I can appreciate how scary it would be to take a leap of faith on an unknown. I never comment on things, but I wanted to let you know I used your vanilla cake recipe and instructions on a three tier cake to make my friends wedding cake this year. Your instructions gave me confidence I could do it and everyone said it was the best cake that they had ever had. So thank you and good luck on your future!! Congrats!! I watch you all the time! I had a cleaning service for 15 years, same clients, secure. I have a culinary background. I had my daughter at 37 and had to cut back on jobs and started caking part time. Now 2 years later I have quit my cleaning business completely and opened a small bakery and cake shop here in Oklahoma. My 2 year old daughter and myself run it every day! Its scary but very rewarding! We are @dustyrosecakes on Instagram. Happy caking and good luck!! Dusty and Rosie ? Wow what a story!! That is freaking amazing, congrats!!! That has to be hard managing a bakery and raising your daughter at the same time, power to you!! You’re inspiring me 🙂 Thanks for your support!! Congratulations Chelsea! What an amazing and inspiring story! I’m looking forward to that day to turn in my two weeks notice. I’ve been working for the government for over 12 years now. Job security and benefits are great but I started to question myself, is this what I really want? Started baking in 2008 just as a hobby and I stopped for awhile. In fall 2017, I woke up one morning and decided that I’ll pursue my love for baking and as a dessert caterer. Obtained all the necessary permits and licenses. My first holiday orders were mainly from family and friends. Four months later, I had my first TV interview about Valentine Sweet Treats featuring my handcrafted tartlets, aired on The Filipino Channel. The first half of 2018, I joined three bridal fairs to showcase my “micro-desserts” aka two-bite desserts perfect for weddings and events. From 0 followers on IG, I have 700 followers now. Woohoo!!! Summer 2018, another I was featured again on TV. Fast forward, I get customers from FB, IG and word of mouth. People were sharing links to my website, etc. But I’m at a point that I’m not happy with my job and would love to do my business full-time. Money wise, I’m not ready to take the leap since I have kids, great health benefits, stable income. But, I feel like this business won’t grow if I’m stuck in my 8-5 job. I want to do corporate catering, but how? I have a day job! I want to do wholesale (yup! I have a State permit to manufacture products)…but how? I believe that I have so many potentials but it’s stopping me because I have obligations to fulfill as a full-time employee. My third TV interview will be airing this Sunday so I’m super excited. And we’re taping my 4th TV feature next weekend in LA. I just can’t wait to wake up one day and celebrate my last day at work. Any tips/advice from you will be greatly appreciated. More power to you Chelsea!!! Please check out my IG, @sweetcondesapastries. ? I am so excited for you to take on this field Full time. I have followed you from the beginning and always knew you would be successful and a great assist to this field. I meet you briefly at The Plaza. Just how sweet and in awe of me recognizing you told me “this girl will be great”. Congratulations Chelsea and all the best! I remember that!!!! And omg, you are too sweet!! Don’t make me cry!!!!! Good luck. Glad I will be able to see your creations bigger and better. You are such an inspiration to me! More than you will ever know. I am going through the same situation. Working full time at a bank, starting to build a great career and future. I LOVE my day job and everyone that I work with but I love baking also. I feel like I am drowning with work and don’t have enough time to perfect my skills. I know I have much more potential. I have been thinking about going full time with baking but it is a very hard decision and like you said, I feel ike my day job is more respectful. I am so happy for your success and I wish you the best! Your work is beautiful ? I am in the same exact situation as you are. I am a radiologic technologist, and have worked at a local hospital for the last 13 years. I carry our family’s health insurance (my husband is a sub-contractor), and feel my income is “my” security. Back-track 7 years. My twin sister made cakes for a long time. Where I worked, people would always order cakes through me, from her. She got Re-married and quit making cakes. People still wanted them, and would say “You all are twins, surely you can make cakes too”….after some coaxing, my first cake was a “Justin Bieber” cake for my nieces 10th bday! From there, it was on!! I am a completely self-taught baker. I have taken no formal classes or education. I immersed myself in blogs and videos…anything that would teach me more! I NEVER thought, in a million years, I would be where I am today in my cake business. It has been a “live and learn”, “Touch and go” situation when learning how to make cakes (when I literally only knew how to make a boxed cake mix ?)! God has been SO good to my little family. He has allowed us to have extra income when my husband’s contract work slows down. For travel baseball teams. For new baseball bats. That Coach purse I’ve been eyeing ?, as well as extra income when needed for everyday living expenses. I have made cakes that have been taken all over the state of KY, and surrounding states! Almost everywhere I go, someone mentions a cake or a piece of work they’ve seen of mine. With that being said, the entire cake business is hard work. It’s not something you can do just “some of the time”. It is hours of standing on your feet, returning messages and questions. Ordering what you need for that cake next week. Thinking about “Will I be off the weekend of that big wedding cake?” (As I still work occasional weekends at the hospital). My two boys are used to me standing in the kitchen all evening, after working a long shift at the hospital. All of their friends know their mommy makes cakes! Their teachers, apparently, count themselves lucky to have one of my boys as a student (they know that means cookies, cake pops, cupcakes and cakes at random and on holidays)!! I have prayed for a long time for God to show me the way, To open my eyes when it’s time to take my business to the next level. I’m still waiting, and I know it’s in HIS time. ?. I am so happy for you and for taking that HUGE step!! It’s so hard for change and not knowing what’s coming next. I’m sure you’ll do GREAT!!! Congrats! I totally understand where you’re coming from. So few people truly understand how hard it is taking cake orders…it’s so much more than just making a cake! And I love that you’ve learned as you went, that’s how I still feel to this day! it’s like, will this work? Idk but I’m going to find out!!! You sound like an incredible baker, and like you’re on an upward trajectory! I wish you the best of luck with your baking business <3 And thank you for your support!!! So excited for you! I am a cpa too and worked at one of the big four for 4 years, my last day of work is this Monday. I’m staying home with my baby girl and working on a certain baking project. Congratulations! I literally just started by own side business last week and have set some high goals to be able to quit my day job. I am excited, i’m Nervous, but I also know it’s going to be hard work! Best of luck! that’s awesome!! Knowing it’s going to be hard work, and you setting solid goals for yourself is half the battle 🙂 Best of luck with your side business!!! And thank you! Chelsey- as someone who has been following you for about a year, I wanted to congratulate you and tell you how happy I am for you!! I can’t imagine how hard it was for you to decide to leave behind something you worked towards for years. Plus leaving behind an office with awesome coworkers and managers couldn’t have been easy. You’ve clearly made the right choice. I’m looking forward to the content you’ll put out now that you’re fully dedicated to pursuing your dreams!! Best wishes! Thank you Maggie! That is a great point; baking is definitely my passion 🙂 You are so sweet, I really appreciate your support!! You bless a lot of people with your videos and baking tips and blog. Your sweetness just shines through. You will be blessed by being a blessing. No worries. Fear is a liar. Congratulations Chelsea! I will look forward to seeing your videos more frequently, and am sure that your creative life will over shine your corporate one in due time. I can totally see you with your own show on Food Network!!! Thank you Vicki! I am so excited to see what I come up with this year, now that I’ll have a little more time to think about things 🙂 And maybe one day, a girl can dream!!! Congratulations! This is so inspiring to read. As a homebaker who works full time and is trying to grow my business and social media presence this is amazing. I look forward to fulfilling my passion and hopefully following in your footsteps! Thanks Rachel!! You really can achieve anything you set your mind to! All it takes is a little (or A LOT!) of hard work. That’s what I’ve always told myself 🙂 Best of luck with your baking business!! Aw thanks Uncle Mike and Tante Debbie 🙂 Love you too!! Way to follow your dreams and give your best in whatever you choose! Congratulations on this new path of your journey! It is exciting to hear about how you made this decision. 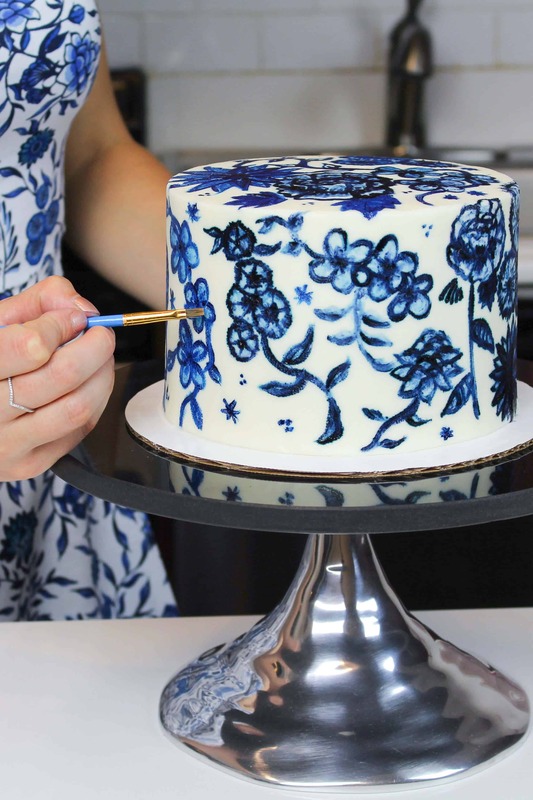 You have such great cake ideas and make everything look so easy and you are so encouraging to others to give it a try especially with all of your tips and how to do it. Good luck! Hahahhahaha so true Roger!! Baking definitely doesn’t feel like work 🙂 I’ve got lots of fun cakes in store for you this year!! Stay tuned! Congratulations! I think it is a wonderful achievement that you have been able to make your hobby and passion as your main source of income! It’s something that I would love to do one day and I think why not do it if you can!! As you said with social media it seems like you are worried that when it fades out that your business will fade out but I really don’t think that is the case – you can always build on from here and combine your accounting knowledge with your baking and if worst comes to worst I’m sure you will have no trouble finding a job back in the corpate world. Congratulations again, I look forward to seeing more from you ? I LOVE your content and admire you so much for this decision. My boyfriend is doing a similar thing now where he has left his well-paying job to start his own business and we’ve often just said “you can always go back to a paid job but the right time in life to make a go of it on your own is now and not later”. Good luck and thanks for creating Chelsweets! Cake recipes (laminated copies in my kitchen drawer) for wedding cakes I make. I’m a home baker and work full time at a local mfg company. So excited for you!! You can do this and I’ll be following you along the way. Good luck!!! ?? Thank you for this thought provoking post. If more entrepreneurs would start their business with the education, experience, work ethic and understanding of the importance of finances, there would be many more successful startup businesses. You have laid the stepping stones for your life’s career. Now, go set the world on fire! Congratulations! Aw Kristan that is so sweet! That really is the reason I shared this post. I thought through this decision SO much, and did want to encourage other people in similar situations to do the same 🙂 I appreciate your kind words and support!! That’s so great to hear Robbie!! That’s the goal 🙂 Best of luck to you! iam planning to do the same and hoping to be successful like you. Its very inspiring. Wow! I can hardly believe you were doing all this AND working full time. whew, you need a spa week!! You’re so very talented and so brave to take this leap -a true inspiration! Excited to see all you will accomplish! Best of luck to you!!! hahaha ain’t that the truth!! Everyone asked me if I was going to take any time off between the transition, but nope!! I’m so ready to dive head first into this 🙂 Thank you for the kind words!!! What a great story youll have to tell your kids one day. Life really is full of unexpected turns, but those are the best ones in my opinion! Best of luck on your new path and in the meantime… well be here watching you and cheering for you from our phones, computers or tablets ( new sidelines) . I really enjoyed reading your story and now when i see a tutorial or video i feel like i know you a little better. Thanks for sharing your gift with us! Haha I never thought about that! “and then mommy quit her job and started baking full-time!! !” But I think it will be a great lesson of following your passion, and hard work 😛 I’m so happy to hear that! I don’t share personal things too often on here (I want the focus to be on cake, not me!! ), but it is fun to connect with all of you on a deeper level 🙂 Thank you for your support!! Your story is inspiring. My wife and I are delving into social media; instagram, youtube, etc. We have so many goals set in place and it may seem overwhelming. We also started a health food store here in New York, and it is all a leap of faith. Thanks for sharing. Aw thank you Renoir! it is all so much to learn, but it’s also exciting! There’s always something new to focus on, or something to get better at! That’s half of what keeps me going 🙂 Best of luck to you and your wife with your health store and social media!! If you don’t mind me asking, where is your store located?? I live in midtown! This is so inspiring! I have been following you for a couple years now and have watched your opportunities and social channels grow. I know you have put a lot of hard work into this and you deserve all the success that it brings! Congratulations, I wish you the best of luck on this new milestone. That is so sweet Cailey, thank you!! I really appreciate that you know how much hard work (and blood and sweat and tears :P) I put into it! Thank you for your support!! Hi Chelsea! Been following for a year or so now and the first recipe I made from you was the bloody glass cupcakes for Halloween! Their always a hit! I too find myself in the same position sometimes I love being crafty and baking/cooking as hobbies, just started my Etsy about two years ago and I wish I had more time to desicate myself to it but last year was a big success for me and I loved working from home! I am currently still pursuing dental hygiene to become a hygienist and find myself stuck at the moment because I have been in school for so many years and working in the dental field, I do find myself questioning whether I should continue it and if that doesn’t work out keep sticking and growing my Etsy shop. Anyways your story is inspiring and lately I’ve been thinking a lot about other opportunities and sticking to our intuition and going with the “what if’s” because like you said you just never know! Congrats Chelsea! I fully understand your fear and, at 26, am in a similar situation (other than being able to support myself full-time on my side hustle but I’m convinced I could if I had more time.) I’m praying for your continued success and the peace of mind I know you’re aching for. I can’t wait to see what you have in store in 2019! Hi Chelsea!! You’re too sweet!! That is awesome, I can’t imagine making a tiered cake without a kitchen aid!!! Congratulations! Going full time with your baking is an amazing and rare opportunity. Your fans totally support you. In 10 years if the blogger/influence bubble breaks you can always go back to the corporate world. Thank you Cynthia!! I really appreciate your support ? Aw you are too sweet Sarah!! Thanks 🙂 I hope our paths cross again soon, it was so fun catching up with you this Fall!! Hello Chelsey, I came across your story and felt my heart warmed by it! I have to be honest that this beautiful background called my attention first but I also learned a bit about edible metallic sprinkles as well as your career change. You see, a month ago I did not have time to learn new things in life because between complex project solutions and red eye flights, I couldn’t do much with my personal time, which was little and compromised by tiredness and fatigue. By the end of January, I also left a corporate career of a Project Manager in a prominent company and with a wonderful staff to pursue my dream of making my own company take off. Our passion is architectural woodwork and we are committed with the purpose to make it happen! I am confident that both of us took the right decision, following our passion and jumping into these new ventures. I am also sure that if we put all our heart and effort into a purpose, we will find our way to achieve amazing things. After all, if we don’t build your dreams, someone else will hire us to build theirs! Hello, I too worked in Accounting and found myself without a job after 17 years and the company down sizing. I have always enjoyed baking and the last 6 months that’s all I’ve been doing and selling lots of baked goods from my home. Now I’m trying to decide to get the proper license to do it at home or go back to work. Baking allows me to be my creative self. Its scary stepping out there. Thank you for sharing your story and all your wonderful videos. It’s definitely a hard decision, and you do lose some of the stability that comes with your day job. At the end of the day it comes to what makes the most sense in your life, and what makes you happy 🙂 Best of luck with your decision, I’m sure you’ll follow your gut and do what feels right for you! Oh my gosh you go girl!!! I lost my job of 11 years major layoff. I’ve decided to try my hand at a home based baking business nothing really close to me so what the heck try it and find out!!! Congratulations! !